When you are flying it is all about the leg room. It's no different in the case of private jets, which are getting more and more spacious with the likes of Saudi Prince Alwaleed Bin Talal spending an estimated $500 million on an Airbus A380 for his personal use. Consider what all you can do in an apartment of 6,000 sq ft - well, that's the size of the A380. From wellbeing rooms and hamams to swimming pools and plush suites, the interiors can be fitted out like a luxurious penthouse. But the A380 is the sky home of only the super-elite club. For the most part, Gulfstream jets or Dassault Falcons rule the skies as the popular option of the busy industrialist. Since space on these jets is restricted, the interiors are kept more practical and businesslike. The market for private jets has now become quite large. It's grown especially in the US, where corporations use them to fly across the length and breadth of the country. The US is a large playfield for private jets because of the well-developed general aviation infrastructure. Latest trends, however, show that Europe is fast catching up with the US market while Asia is still lagging behind. India, unfortunately, has not created ample infrastructure for general aviation. If you look at London, it has four general aviation airports in addition to the civil aviation airports. Citius, Altius, Fortius is the Olympic motto. It is a pretty good description of the race currently on among the private jet manufacturers to build bigger, faster, higher flying and longer range jet planes for the private market. If you discount the Boeing and Airbus business jet families - which are essentially commercial aircraft bodies customised for the business/private jet market - the race for the top position has largely been between Gulfstream, Dassault (which also makes the Rafales that the Indian Air Force is planning to buy) and Bombardier. At the moment, Gulfstream is the undisputed king - with its Gulfstream G650 and G650 ER jets. The G650 was already the jet with the biggest cabin and longest range, and swept the corporate jet market before the G650 ER was introduced. If the G650 could fly non-stop between New York and Dubai, the G650 ER has an even longer range - and can fl y from New York all the way to Hong Kong. The new G650 can be yours provided you are willing to wait a couple of years (it has a long waiting list) for about $65 million. If you want to skip the waiting period and pick up a second-hand one, you might actually have to pay more - some owners of the G650 have already sold them on to eager buyers at $70 million or more. Of course, Gulfstream strongly disapproves of this practice of fl ipping and actually gets its new customers to give an undertaking that they will not sell the plane quickly. The two main competitors for the G650/650ER on the horizon are the Dassault Falcon 8X and the Bombardier Global 8000. The Falcon 8X has been launched and the first deliveries are expected to be around 2016. While it is not as long or as fast as the Gulfstream, it has a wider cabin, and is supposed to be the champion in taking off and landing from extremely short airstrips. The Gulfstream requires a longer runway. The Falcon 8X also boasts of three engines (as opposed to the Gulfstream's two) which is supposed to make it more reliable, though no Gulfstream has suffered from having an engine less than the Dassault challenger. In terms of range, the Falcon 8X is more of a rival to the G650, given that it can fly from New York to Dubai non-stop. But you would need to refuel if you were flying further east. It is expected to be somewhat cheaper though - priced at an estimated $58 million, which could make it an attractive alternative to people who don't want the Gulfstream. By contrast, Delhi and Mumbai depend on the two main airports. In Delhi, the Safdarjung airport could have been used more, but there are too many restrictions on flights there. Mumbai has the potential with the proposed expansion of the Juhu aerodrome but that has been delayed. Unless these infrastructural challenges are overcome, the private jet market here will not take off. 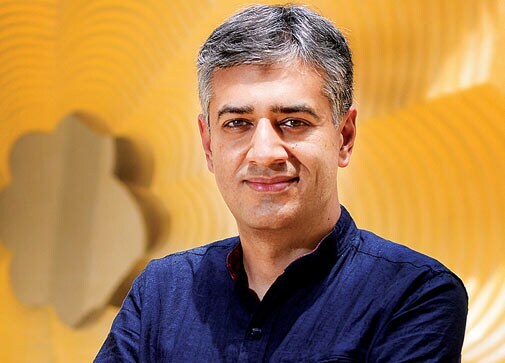 Globally, the private jet market has got a fillip because the acquisition price of aircraft has come down and turnaround time for delivery is much faster than before. With the crisis in Greece, it's the right time to buy with plenty of deals available in the marketplace. If somebody wants to acquire a jet, going through aircraft brokers is the best option. You can also go direct to the manufacturer and try and negotiate deals. There are also marketplaces for private jets. A huge market for used jets also exists. 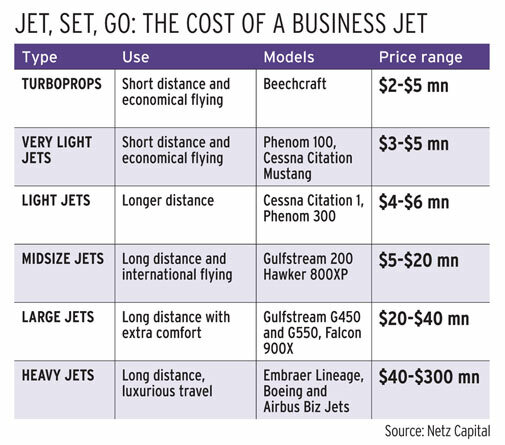 Most Indian corporates tend to buy only second-hand jets, especially if they are first-time buyers, mainly because they can test how useful the jet is. In India, a lot of people who can afford to fly private jets don't because of infrastructural challenges, costs and maintenance and the perceived value. I would guess there are fewer than 1,000 private aircraft in the country with half of these being helicopters. Typically, private jets that most Indian industrialists use - Gulfstream, Bombardier Global Express or Dassault Falcon - can only do six to seven-hour journeys. For the long haul - flying from here to the US, for instance - they still prefer to fly commercial. But within the US, they do charter, mostly through time share companies such as VistaJet, NetJets or Flight Options that have good aircraft available. There are no fixed costs; the charges are based on per hour of usage. A lot of people find that better as costs are expensed out to companies and are in balance sheets. By contrast, when you own a plane, there are fixed costs on the aircraft, pilot, maintenance and so on. Unless you clock 800 to 900 hours of flying time a year - that's about 90 hours a month - owning a jet is not practical. The other challenging issue in India is more regulatory. You can either own the jet under private ownership or you can include it in the company books by taking a non-scheduled operators permit. But if you go for this permit, there is a minimum number of aircraft that you have to own, which means you need to buy more planes. Also in India, the duty structure is a bit of a downer for people looking to acquire planes. Coming to the aircraft, the choice really depends on how vast your operational area is and where you fly regularly to. If you have fixed operations in North India, and are only going to fly in that region, then a smaller aircraft will do. If your footprint covers all of Indian subcontinent and extends to Dubai, Thailand etc, you should look at larger planes. India is largely a turboprop market. General aviation booms during election time. But five to seven years ago a new market was created. This segment of very light private jets includes aircraft such as Eclipse, Embraer Phenom, the smaller Cessna and HondaJet that cost $3 million to $5 million. Typically, these are five to six seaters. They became popular during the recession, but might remain in favour. Globally, the challenger series from Bombardier and Dassault Falcons dominate the skies for short-haul flights, while Gulfstream rules the long range. Gulfstream has been innovating a lot of late and introducing new products. 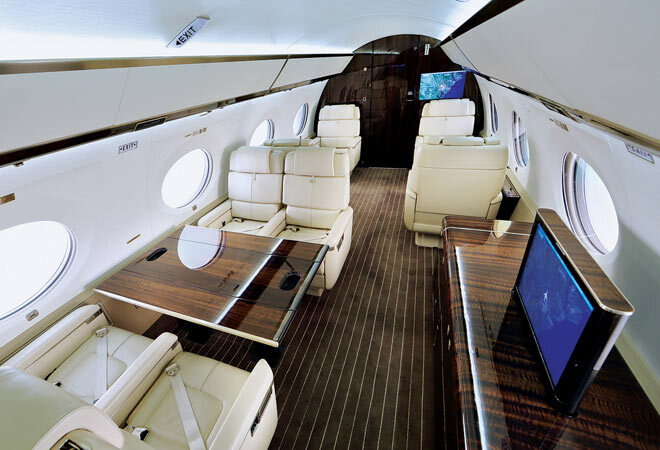 Its new G500 can do transatlantic journeys in one leg. When you look at private jets as an indulgence, then you can buy wide-bodied Boeing and Airbus jets. In India, most people still view private jets as business utility tools and typically go for Gulfstream or Embraer aircraft. Only the rare industrialist such as liquor baron Vijay Mallya would go in for a Boeing 727. When it comes to indulgence, interiors of private jets can cost as much as the plane itself. An A380 would set you back by $300 million and you could splurge another $200 million to fit it out with the luxuries you want. The sky is the limit. Those with deep pockets who want to avoid commercial flights can now book a private jet through an app! BlackJet, a membership-only service started by Uber co-founder Garrett Camp, takes advantage of chartered jets fl ying empty legs. Members can scan these flights and pick up seats in the one they want - paying $950 for short fl ights and $3,500 for long hauls. Its membership fee starts at $2,000. Gulfstream has unveiled two new super jets. 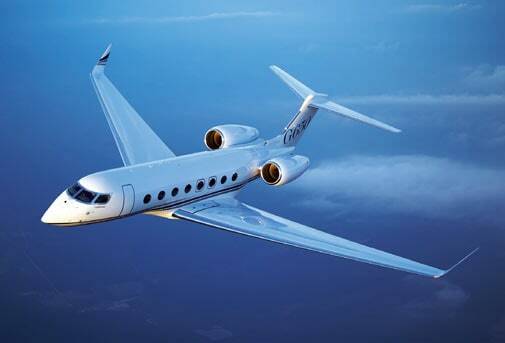 The G500 with a price tag of $43 million and the $54-million G600 have bigger cabins, fly faster and are more fuel effi cient than earlier planes. 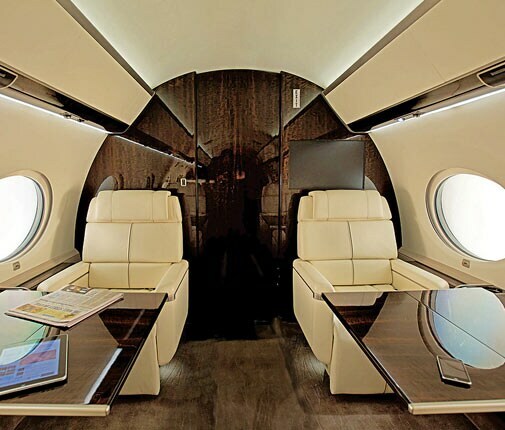 The G500 can even do long hauls - taking a traveller from New York to Moscow nonstop, while the G600 can get fliers from New York to Dubai in one leg. The extra speed will save the average Gulfstream flier up to a week in travel time.